How about getting Ohbot to react to a sensor? 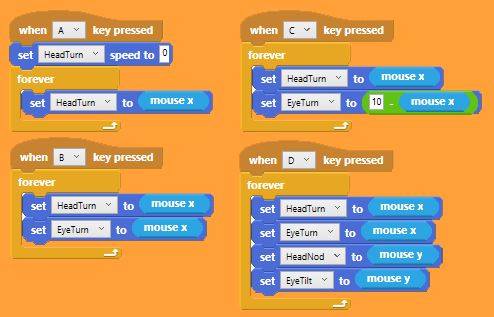 The Mouse X sensor block (on the sensor menu) gives the position of the mouse in the x axis as a number between 0 and 10. The Mouse Y block does the same for the Y axis.